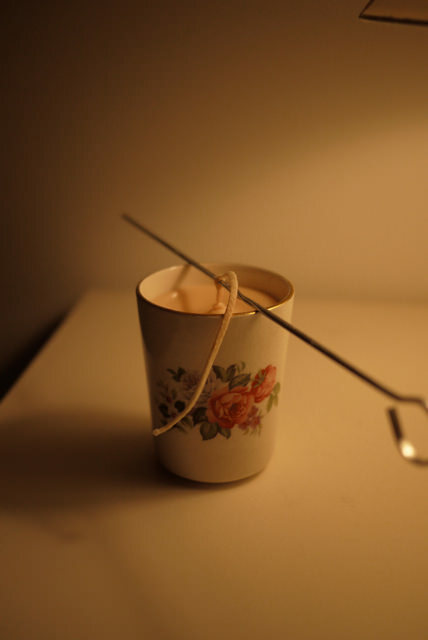 We made our own soy teacup candles! Yep, our final present related task. This was on my to-do list for ages. I think I first saw them in Vogue and thought they looked so simple yet pretty and practical. Ever since, I’ve been looking out for vintage teacups and china beakers. You don’t need much equipment to make them and I bought a great candle making kit from eBay which contained soy candle wax, candle dye, candle wick, wick pins and sustainers. All I had to provide were the vintage tea cups and containers to melt the wax. They were pretty quick to make, I melted the wax and poured it into my vintage pretties. They’re currently cooling down before I remove the wick pins and trim the wick. A lovely simple Christmas gift (said in my best Kirstie Allsopp voice!). That looks really great! 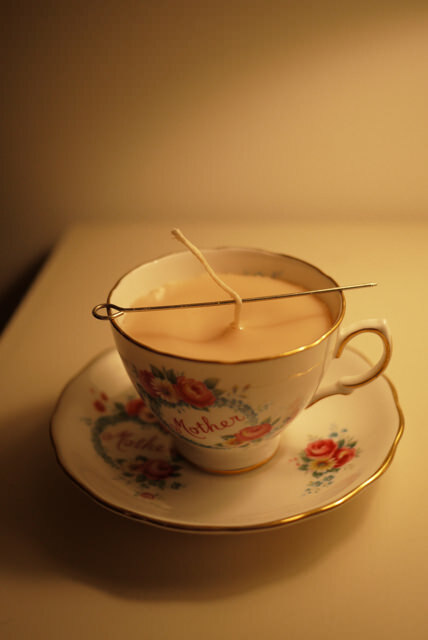 I love the look of teacup candles, they’re a great way of using cute old one-off cup and saucers!